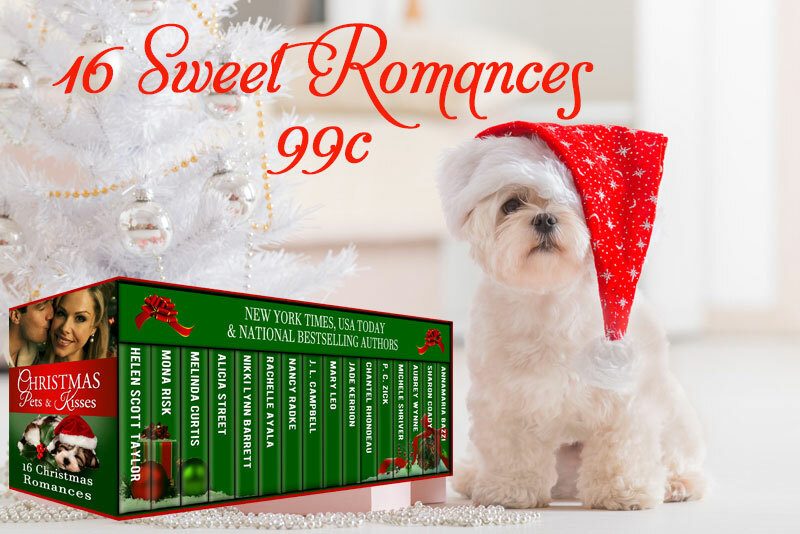 SIXTEEN ALL-NEW, NEVER-BEFORE-PUBLISHED SWEET (PG-rated) CHRISTMAS ROMANCES from NY Times, USA Today, and Award Winning Authors – 99c for a limited time! Tabloid pictures of charming laywer, Josh Dutton, threaten his father’s senatorial campaign. The family decides he needs a sweet ‘temporary fiancée’ to repair the damage. With only her German shepherd for friend, Emma struggles with problems. Attraction sizzles between Josh and Emma but no one mentions the ‘fake fiancée’ detail. When the truth surfaces will Josh be able to prove that his kisses were not part of a charade? A stray dog with a penchant for giving warm and fuzzy love finds refuge with an ex-Army helicopter pilot and helps restore his bedridden grandmother’s will to live. 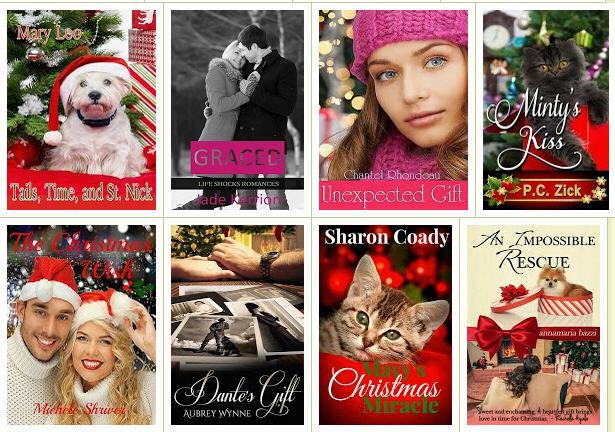 It seems like a Christmas miracle until the bachelor war vet discovers the mutt belongs to a little girl who wants him back—and a single mom who makes him rethink his freewheeling ways and maybe even believe in love. Kris Timemaker has inherited a magical clock. Using the clock’s magic for anyone other than St. Nick on Christmas Eve has some grave consequences, but when his daughter’s beloved Westie goes missing, and his estranged wife asks for his help, Kris has no choice but to take a chance with time and try to win back his family in the process. Connor Bradley doesn’t have time for distractions, not while juggling single parenthood and his clinic on five hours of sleep a night. He most certainly doesn’t have time for Noelle, the high school flirt, who is prettier and more irresistible than he remembers. 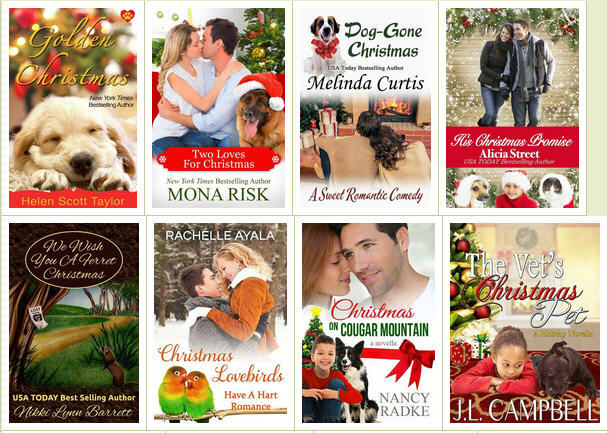 When Noelle’s father’s heart attack derails Connor’s plans for his first Christmas without his wife, Noelle wants to save the day for his adorable children, but can she also find her way into Connor’s guarded heart? Ashley McLaughlin is struggling to move on from her husband’s infidelity. Brennan wants to make amends for his transgression. Their young daughter, Hayley, has only one wish for Christmas- for her family to be together again. When Hayley suffers a head injury after a fall from her horse, will it help her get her wish? Or do the wounds from Brennan’s betrayal run too deep for Ashley to forgive? Anne Hurd returns to the Pocono’s to help her elderly grandfather. Six years earlier Kyle Shafer disappeared from her life. She rescues a kitten, takes her to a vet who turns out to be Kyle. Kyle can’t believe Anne walked back into his life. Will he scare her away, or will she give him another chance? Kyle decides to take a chance and try for the love he gave up on. Christmas is no joy for Julia who’s gambling husband comes around only to ask for money. When a handsome stranger and his cute Pomeranian puppy moves in next door, Julia feels guilty for their mutual attraction. Michael’s not the rescuing type, but when he spies Julia’s husband haranguing her for holiday cash, anger flares and he is determined to rescue Julia from another miserable Christmas. Will a fall from a horse bring Hayley’s parents back together in time for Christmas?